I’ve seen the footage that is referred to in this story. I suspect many WWII history buffs will recognize it. Amazing to know the history behind it. I look forward to the book. I was unaware that Russia was fielding one of these. Syria looks more and more like 1936-1939 Spain to me, with Russia using it as an opportunity to test their new weapons in combat. 2018 Total time: 22.3 hrs. The first session of March. I just wish it was more productive. 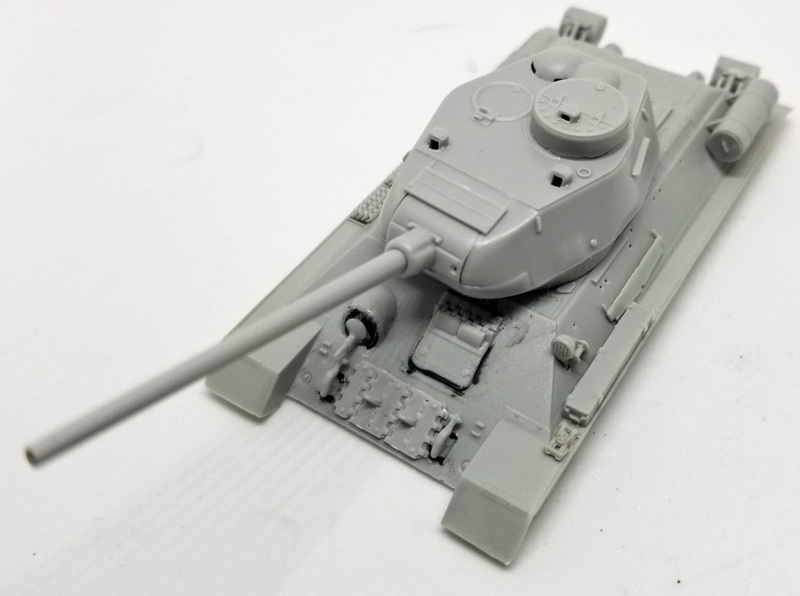 I spent all my time drilling holes in the T-34/85 chassis to mount scratchbuilt grab handles. I then made the handles out of very thin wire. Spent an over an hour and didn’t finish. This armor stuff has a lot of tedious parts to it. 2018 Total time: 21.22 hrs. With this entry, February is in the books. As I predicted, I couldn’t keep up the January pace. I got in 12.99 hours in January and this dropped in February to 8.23 hours. I am on pace for 127.32 modeling hours for the year. At an average of 40 hours a model, this will have me completing only 3 models in 2018, well below my goal of 5. Depressing. This session was spent mostly drilling holes in the hull of the T-34/85 for the grab handles, which I am going to make out of fine wire as the plastic ones in the kit are too chunky. I also got the major components of the T-33 together and used plastic strip to fill the gaps created by the odd engineering choices made by Platz. Here is where the models stand at the end of February. 2018 Total time: 18.39 hrs. Finally got back to the bench after 10 days away. Sadly, my prediction that February would not be as modeling intensive as January is coming true. 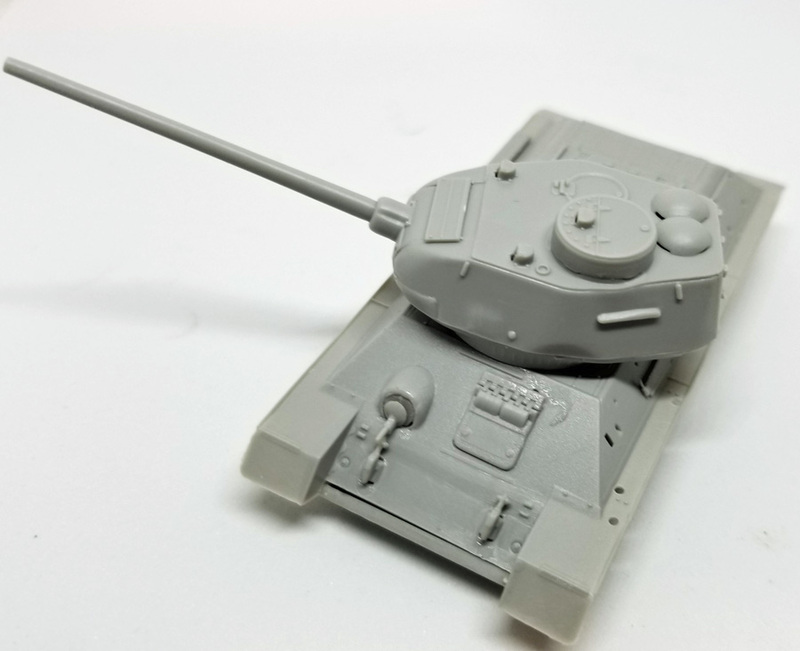 Worked on both the T-33 and the T-34/85. Both are progressing well. 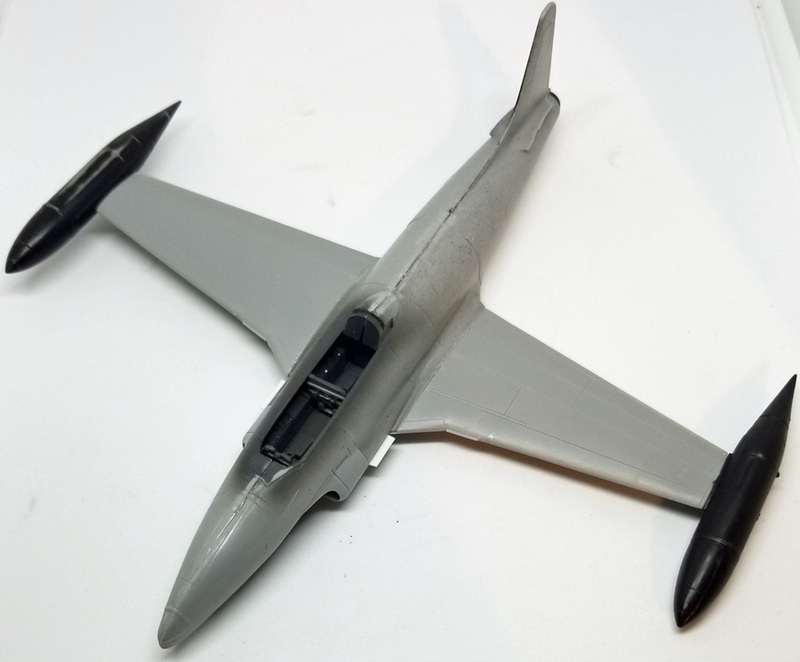 I suspect that as I predicted, the T-33 will require about 40 hours total to finish. The T-34/85 won’t take that long. Pictures with the next update. 2018 Total time: 16.39 hrs. Got some time in at the bench. As I suspected, I haven’t been able to keep up the pace set in January. 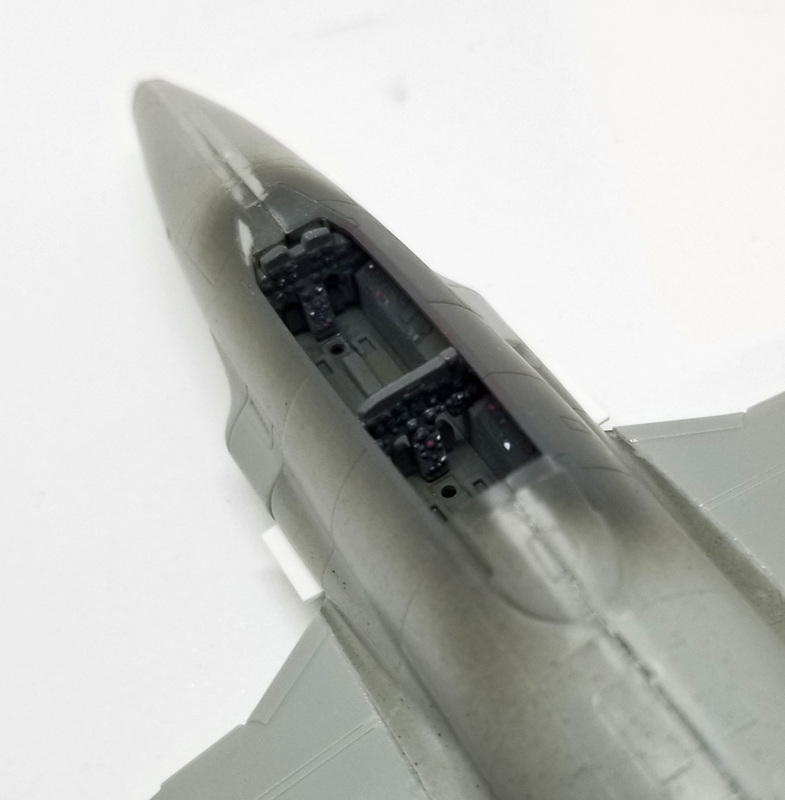 I did manage to close up the Platz T-33 fuselage. I also got some more work done on the T-34/85. (In the photo below, the chassis is just sitting on the hull.) The tank is coming along nicely. 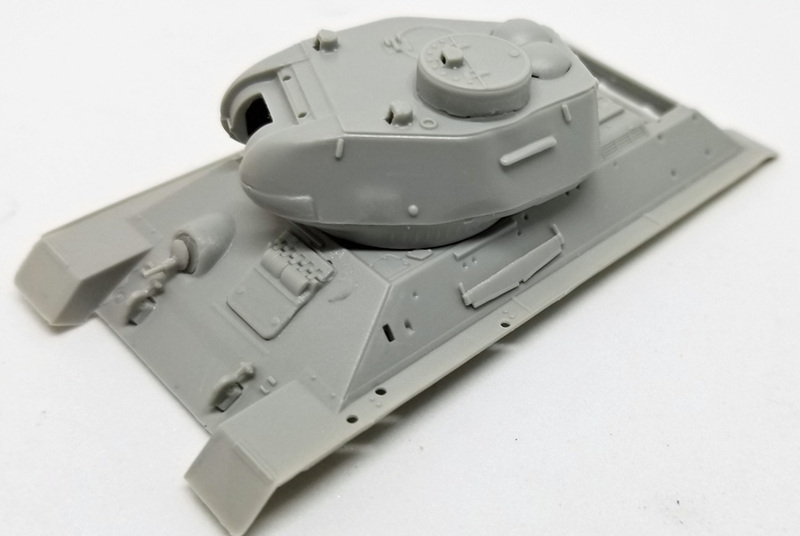 I don’t think it will take me 40 hours to finish the T-34/85, but I am pretty sure that it will take that many hours to finish the T-33, especially with the finish II’ve chosen. 2018 Total time: 15.56 hrs. Watched the Olympic opening ceremonies and worked on the T-34/85. Made some progress. However, given the progress I’ve made in February I don’t have hope that I’ll match my January hours.